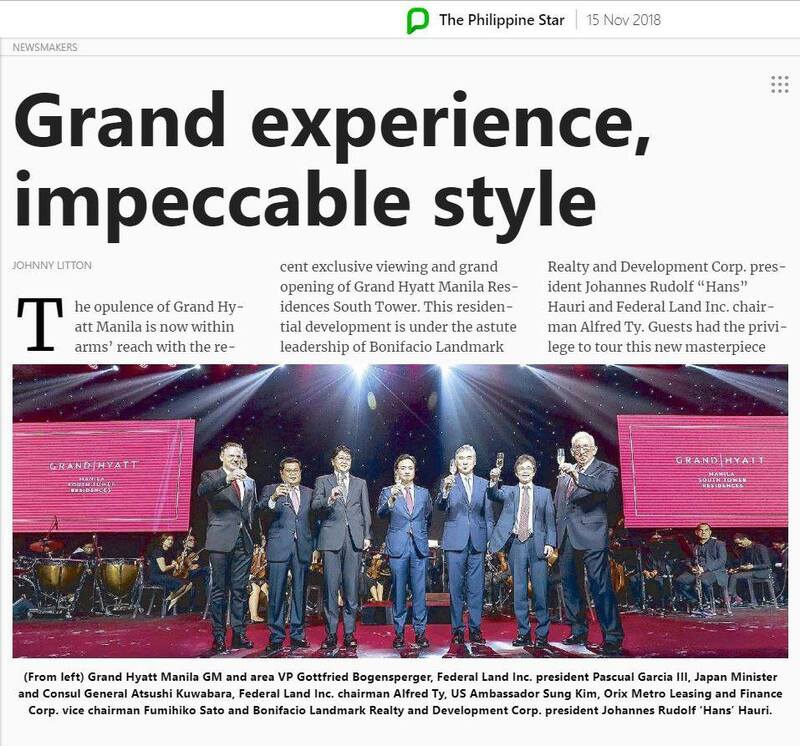 NEWS | Grand experience, impeccable style The Philippine Star - Federal Land, Inc. NEWS | Grand experience, impeccable style The Philippine Star - Federal Land, Inc. 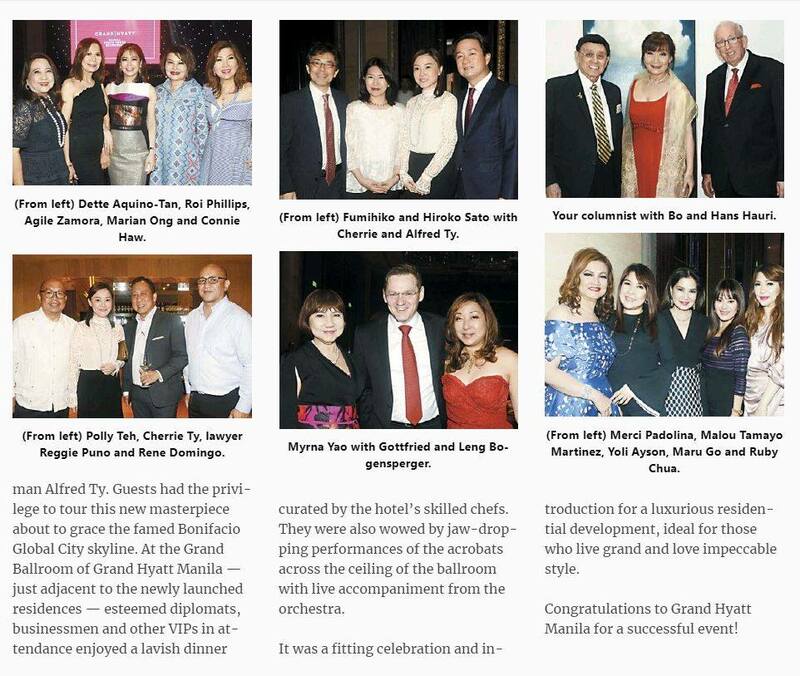 The opulence of Grand Hyatt Manila is now within arms’ reach with the recent exclusive viewing and grand opening of Grand Hyatt Manila Residences South Tower. This residential development is under the astute leadership of Bonifacio Landmark Realty and Development Corp. president Johannes Rudolf “Hans” Hauri and Federal Land Inc. chairman Alfred Ty. Guests had the privilege to tour this new masterpiece about to grace the famed Bonifacio Global City skyline. 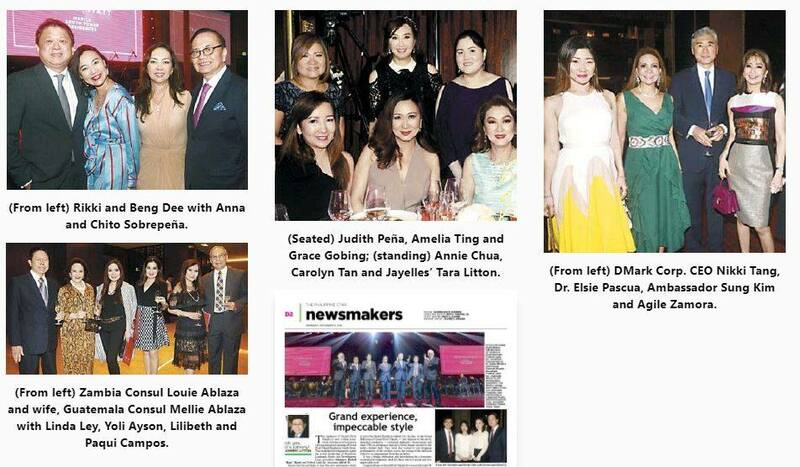 At the Grand Ballroom of Grand Hyatt Manila – just adjacent to the newly launched residences – esteemed diplomats, businessmen and other VIPs in attendance enjoyed a lavish dinner curated by the hotel’s skilled chefs. They were also wowed by jaw-dropping performances of the acrobats across the ceiling of the ballroom with live accompaniment from the orchestra. It was a fitting celebration and introduction for a luxurious residential development, ideal fro those who live grand and love impeccable style. 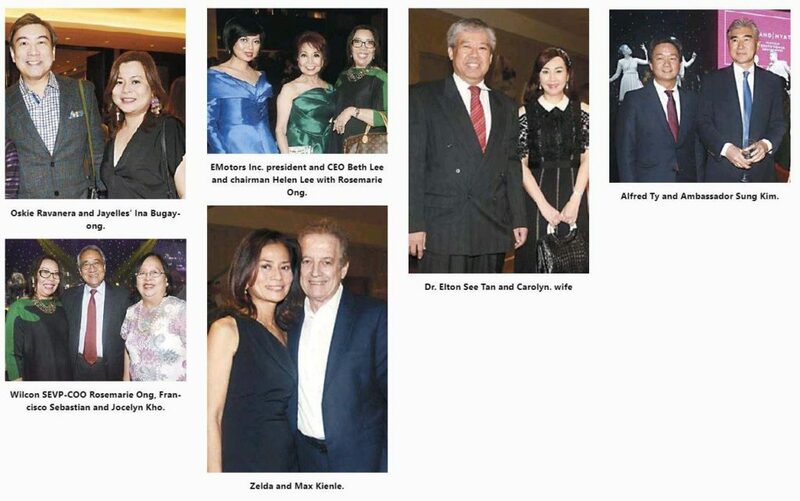 Congratulations to Grand Hyatt Manila for a successful event!